The other day I took out the tattered, hand written cookbook that sits in the book rack near my recliner. Coffee stained pages, marks where spoons were set on it by sticky little hands, a book of the past. I have looked through it many times and checked a recipe or two but have never really thought about what it means to me. Many of the pages are hanging by a thread and others are torn and faded. There is no cover or binding and it is a sad looking example of a cookbook! I left this book behind with everything else in Saudi. It came in a shipment the year after our relocation and stands as a reminder of what was and how far we have come. 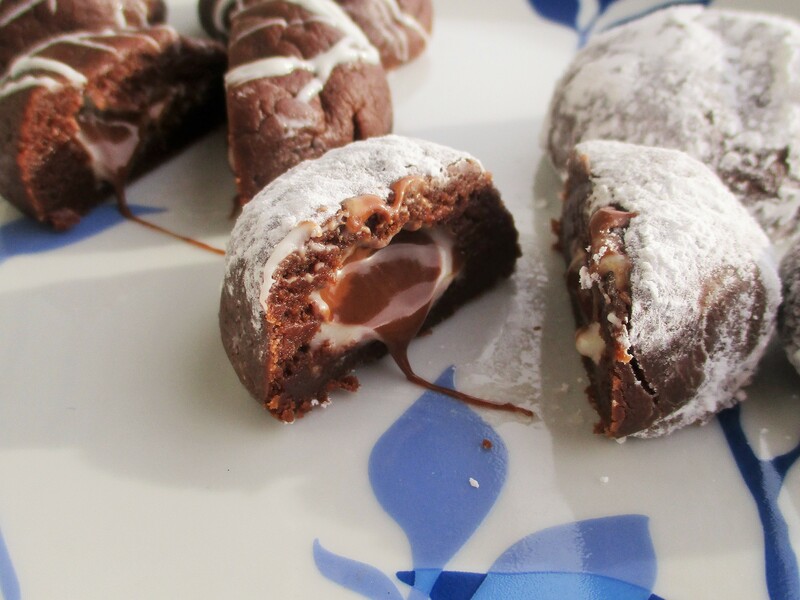 I found this recipe for Bon Bons which I had not made in many years, they were fantastic! Melt chocolate and butter in a sauce pan over low heat. Move to a bowl and add condensed milk, mix well. Add flour and mix in until well combined. Place a piece of dough in hand and flatten, place kiss in the middle and wrap up. Roll into a ball and placed on greased baking sheet. Put in oven for 8 minutes. Remove from oven and let cool. Drizzle with melted white chocolate or roll in powdered sugar.